The Mineral Oil Absorption System has been proven time and time again to be the safest and most economical system for recovering solvent vapors from exhaust gases. 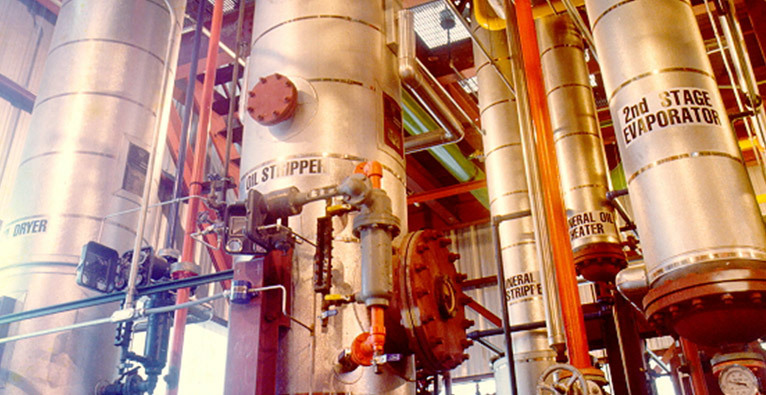 The system uses cold mineral oil to absorb solvent from vent gases before discharging them out to the atmosphere. For warm climates, chiller systems can be furnished.